~ A writing life cut open. A few face-palm moments below. While the majority of my time is spent creating search engine optimized (SEO) content for clients as part of their digital marketing efforts to increase their visibility in search, part of my time is educating, reminding, and warning site owners about factors that could negatively impact their placement in search engine results. Throwing spaghetti at the wall. One client, who understands the importance of fresh and frequent content, decided to expand their content creation sources and began adding other writers who had no SEO experience. Without a clear and united vision for content topics, formatting, and keyphrases – the site went from delivering localized, relevant, quality content to random, irrelevant, awkward mush. 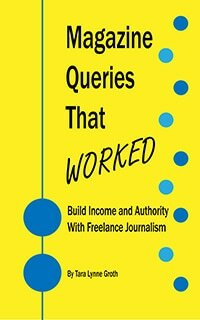 Other writers posted content on the site with http:// hyperlinks pasted directly into the body of blog posts instead of embedding them, wrote content about other states where the client didn’t provide services, and even copy/pasted entire paragraphs from other sites without providing references and proper quotations. My time writing content was compromised because I kept spotting and fixing these errors, but even upon alerting the client of the issues and potential consequences – they elected to continue adding more content. (Because it was cheap.) The site went from ranking on Page 1 for most of the services it targeted to, as of this writing, Page 4. Basically, this client paid to lose business. Chasing shiny things. Having a progressive mindset can help site owners stay ahead of their competition. I started optimizing my clients’ sites for predictive search before that phrase became part of the search vernacular. Some site owners have Shiny Object Syndrome though. They’ll get tunnel vision on the latest and greatest new thing and neglect or forget what reliably serves them. One client was approached by a company that claimed they can guarantee #1 placement in YouTube search results. The client asked my opinion on it and – like I tell anyone who hears about some lofty promise for SEO – I told them it is likely a scam. Search algorithms change all the time. No one can promise placement in results. Yes, it’s great to explore video marketing, native advertising, brand ambassador programs, and various legs of content marketing, but don’t feel like you need to abandon one for something new and shiny. The client restructured their SEO budget to include the “next big thing” and dropped content. Now their site has been sitting stale for months. Cherry picking. When prospective clients approach me about my fees, part of the questionnaire I send to them inquires whether I will moderate and post the content for them, or if they will manage it themselves. If I post it, then that extra time is incorporated into my project fee. Depending on the type of CMS (content management system), the fee could be higher as some site owners use industry-specific proprietary CMSs that I need to incorporate additional time for. Earlier this year, a site owner wanted to save some money so they decided to manage posting the content themselves. I wrote all new site content for them and no revisions were requested from the initial draft. Great, right? When I went to check the meta details I saw they hadn’t updated their meta descriptions or metatags. I dropped them a note to let them know the site looks like it’s coming together well and that some pieces were missing. They thanked me for spotting it and said they would get around to adding those items soon. We’re now more than 6 months later and it’s still not updated. Your car might make it from Point A to B with half-inflated tires – but your competition will surely get their sooner! Cherry picking SEO services to ‘save money’ just ends up costing site owners money in the long run. Unless one is highly confident they can access and moderate content on their own, let someone who does this for a living add and format the content for you. I’m guilty of one mistake (not listed above) this year. My love started a side business in January and I haven’t updated his website since then. ::gasp:: I know, I know. #badwife The shoe cobbler’s son has no shoes. I’ve got some lovely handwritten notes that I need to get on that site – plus content I’m scheduling to post throughout 2017 to prevent another delay! Have you seen (or made) any SEO mistakes this year? As always, a wealth of information, Tara Lynne! So many things to keep in mind as I embark on my new site! Thank you! Good that you’re learning about it BEFORE launching! Enter your email address to subscribe to Write Naked and receive each new post by email. Tara Lynne's successful magazine pitches. This site is maintained by Tara Lynne Groth, a freelance writer in the Raleigh, North Carolina area. She lives in a small town with the love of her life. When she’s not writing she is chasing their backyard chickens or tending to her bees. She loves food, Paris, National Parks, and barre. The ballet one, not the beer kind. All content on this site is the property of the site owner. Please do not re-blog content.